C.J. 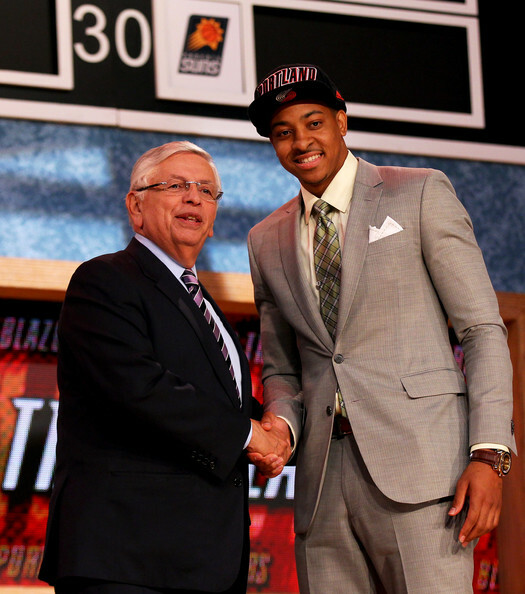 McCollum (R) of Lehigh poses for a photo with NBA Commissioner David Stern after McCollum was drafted #10 overall in the first round by the Portland Trail Blazers during the 2013 NBA Draft at Barclays Center on June 27, 2013 in in the Brooklyn Borough of New York City. NOTE TO USER: User expressly acknowledges and agrees that, by downloading and/or using this Photograph, user is consenting to the terms and conditions of the Getty Images License Agreement.